They said Serafin-Bazan had recently been treated for a respiratory ailment, possibly the flu. “We really don’t know what happened,” he said. “We are looking forward to getting to the bottom of this,” the official said. 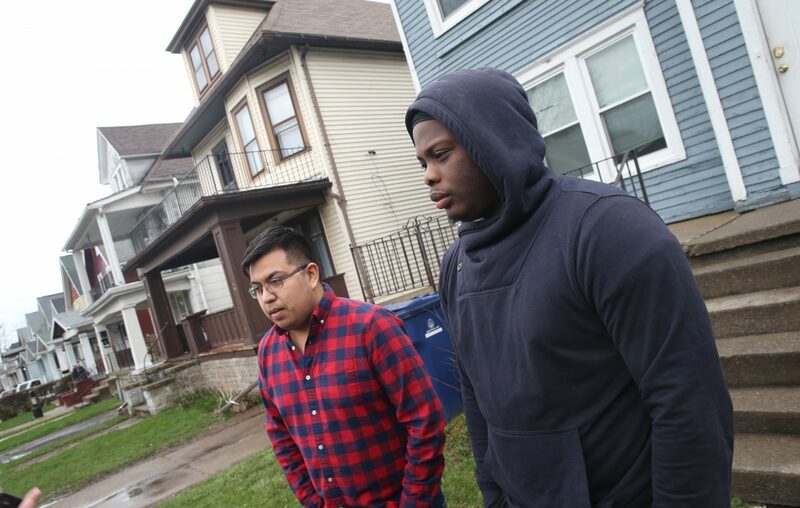 Erie County District Attorney John J. Flynn said the fraternity's lawyer asked to review the Buffalo Police homicide squad's files on the investigation, but the DA said he would not permit that. "Absolutely not," Flynn said. "I am not going to allow any outside entity to look at an internal investigation while it is being conducted." Serafin-Bazan of Port Chester, which is in Westchester County, resided in a university dormitory. Police said they believe it was on UB's North Campus. But he had been temporarily staying at the Custer Street residence, not far from UB’s South Campus. A UB website identified him as a medical technology student. "He had been pledging for the fraternity and if he had been accepted, he would have been able to live in the fraternity house," that same police source said. “I don’t participate in Greek life, but honestly I was not surprised. Everybody is upset. They are supposed to be brothers,” said UB student Mike Horan. “We all learned about this in an email from the university." The email from A. Scott Weber, UB’s vice president for student life, stated that the student had been taken to the hospital “with a serious medical condition” believed to have occurred during a possible hazing. “Out of concern for the well-being of our student body, effective immediately, the official activities of all Greek-letter, social fraternal organizations are suspended,” Weber stated. “Specifically, these organizations are prohibited from recruiting and engaging in new member education activities; participating in university-related events on or off campus as a fraternity or sorority; and conducting meetings regarding fraternity or sorority functions or activities." One of the police sources, who was not authorized to speak, expressed concern for Serafin-Bazan’s family.